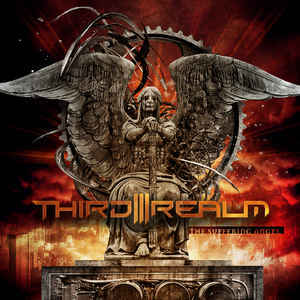 Background/Info: Third Realm is an American formation, which has already been active since the early millennium years. Driven by the creative spirit of Nathan Reiner, the band gained some recognition through a few productions released on Radio-Active-Music. The band also self-released a few more albums and now joined hands together with Distortion Productions to unleash this new opus. 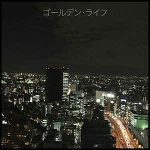 Content: Third Realm is a band dealing with different genres. The opening cuts reveal a harsh and alluring dark-electro format mixed with some EBM elements. The vocals are harsh and distorted. But quite progressively the influences evolve towards other music fields, becoming more electro-wave and feature clearer vocal parts. There are several cuts in this genre, which remind me a bit of Diary Of Dreams. And just at the point I got the impression this album become more gothic, Third Realm again experiments with harder electro-driven cuts. One of the last songs is a remix by label mate Tragic Impulse. + + + : This is an album featuring 2 different sides. Speaking for myself I was more impressed by the harder and dark-electro/EBM style, which doesn’t bring that much new, but clearly reveals an accomplished and intelligent writing. The songs have been composed with cool sound treatments and carrying leads. I also like the hard, spooky vocals running through the songs. But Third Realm also feels comfortable experimenting with dark-wave music. One of the biggest potential ‘hits’ (cf. “Neon Lights”) is a song in this genre. – – – : You quicky get the impression that there are 2 bands hiding in Third Realm. This versatility is somewhat schizophrenic and a bit like a challenge as I can easily imagine all listeners will not necessarily love both sides. 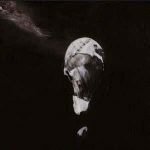 Conclusion: “The Suffering Angel” is an album switching from dark-electro and EBM driven cuts into electro-wave/gothic pieces. It’s all about a choice and artistic freedom, but I think it could be an idea to simply run 2 separate bands instead of one album with 2 faces. Best songs: “Neon Lights”, “Bringer Of Evil”, “Command And Conquer”, “Prisoners Of Life”, “Closing Time”.